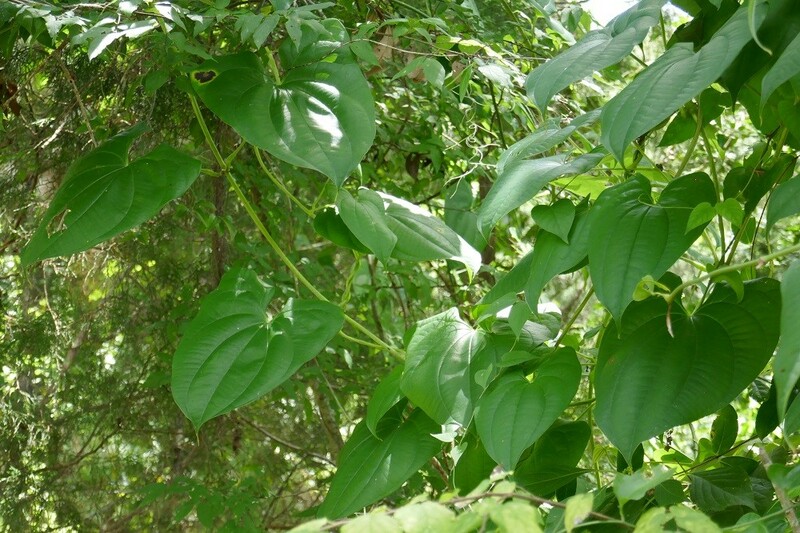 Winged yam (Dioscorea alata) is a deciduous vine that reaches a length of about thirty feet. It can be grown on a trellis, fence, or left to grow high into the treetops. 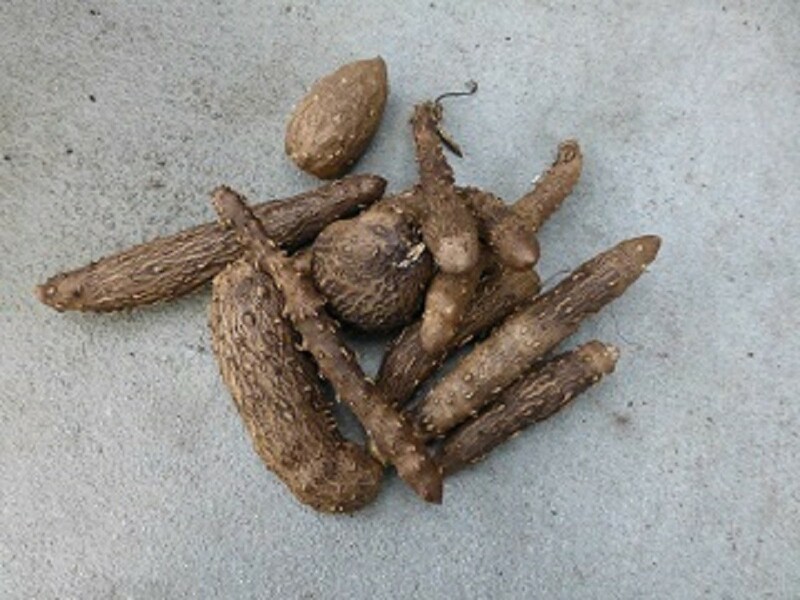 This Dioscorea, the winged yam, is not to be confused with air potato (Dioscorea bulbifera).Air potato is not edible and has proven to make many people sick when they try to consume it. Winged yam on the other hand is edible and tastes very similar to a regular white potato. Winged yam is also called white yam, greater yam, and ten months yam. Winged yam grows in many different sights, from dry to moist and requires no maintenance whatsoever. Just plant it and forget about it until winter when the leaves start to yellow. The vines will disappear completely so it is a good idea to mark tuber locations for later use throughout the winter. They store quite well right in the ground until needed. Winged yam, as its name suggests, has winged stems and gnarly looking aerial tubers. Whereas air potato has round stems and round aerial tubers. Be sure you are collecting the correct (edible) one and if you are unsure find a seasoned wild foods collector to advise you. 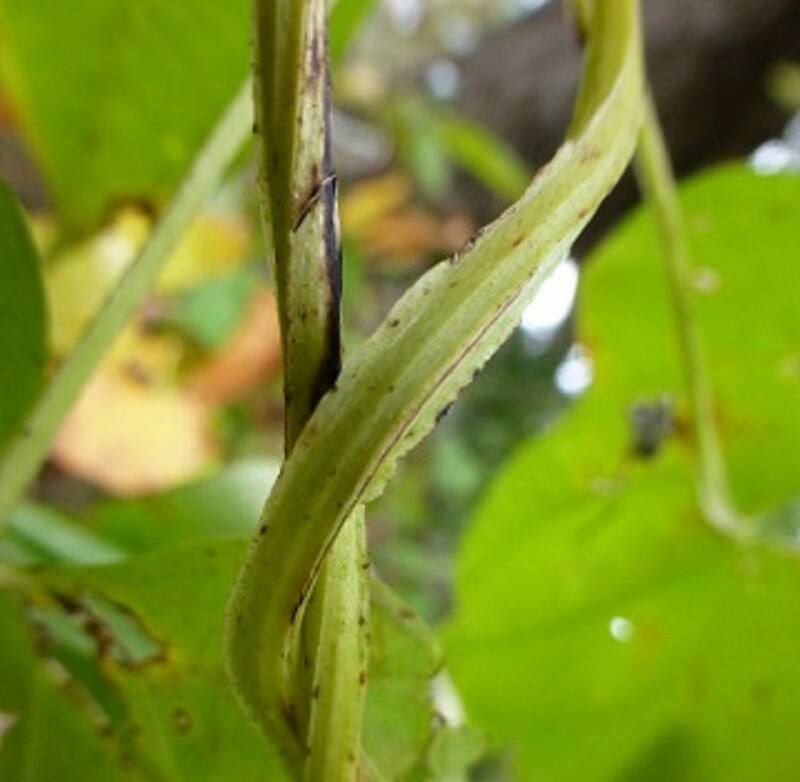 Florida has introduced a beetle to attack and consume air potato, and they are doing a great job of it. Here in central Florida most of the air potato on my property, thankfully, has been decimated by the brilliant, red, colored beetles. However, they have not eaten my winged yam and, thankfully, do not seem to have a taste for it. The aerial tubers of winged yam are said to be edible, but they are generally quite small and once peeled probably would not leave much edible tuber. I prefer the underground tubers myself. The underground tubers are collected in the winter when the upper vine dies back. If you collect them the first year they are generally about four inches across, but if left for a second year they can become much larger. I prefer first year because they are smaller and easier to dig and handle. 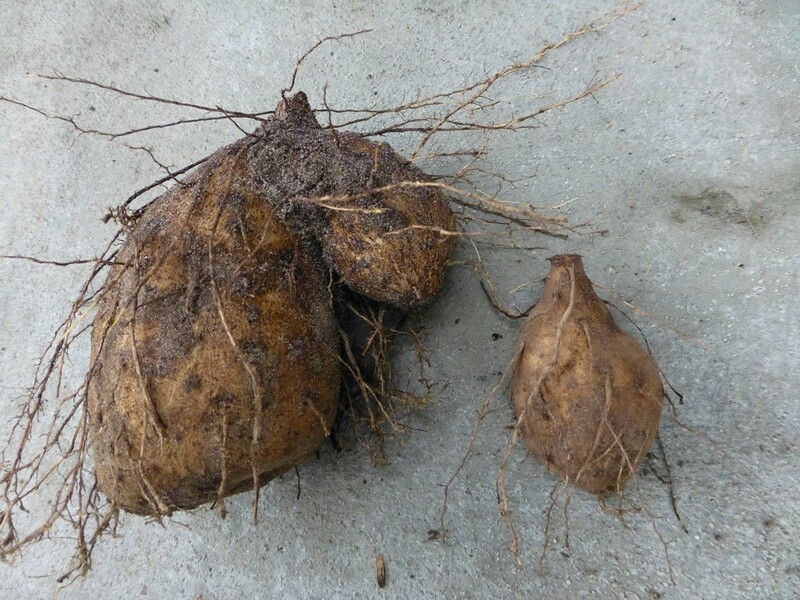 Some folks have recently been photographed with thirty pound tubers, which are probably many years old. I would think the older tubers would be pithy, but I can’t say for sure as I have not tried them. Plus, I prefer to collect what I am going to use rather than try to store a thirty pound tuber. To make mashed winged yams … of course start by digging up the amount of yams you will be using. In this article I used six and it was enough for hubby and I to have dinner and some leftovers for potato pancakes the next morning. Wash the yams outside to remove as much dirt as possible before bringing them to the sink. 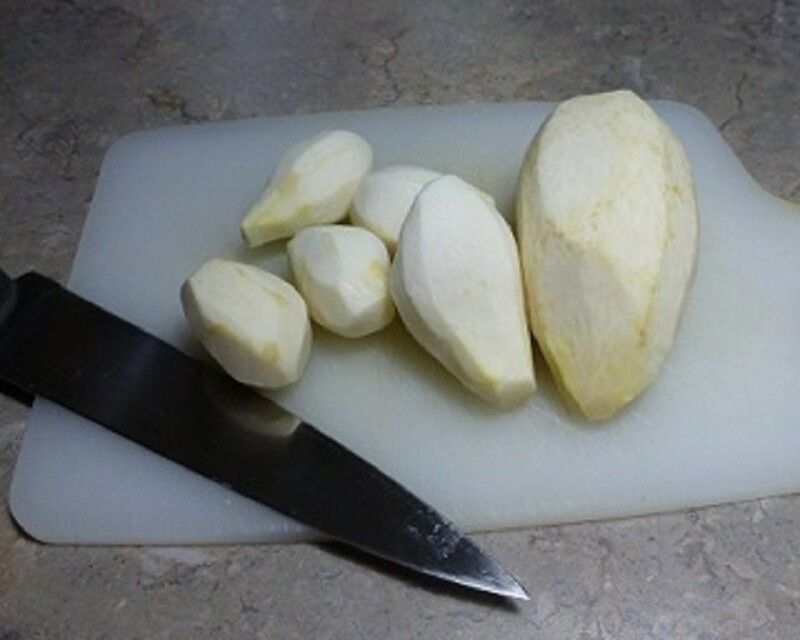 They are different from peeling white potatoes because they are slightly mucilaginous so be prepared for a strange feeling while peeling them. It can be a little off putting at first, but just think of how tasty they will be once they are cooked and ready to eat with lots of butter. I peel mine and then put them in a bowl of water while I continue with the rest. Cut them into two inch cubes and place in a microwave safe bowl. Add about one cup of water and cover with a paper towel. I cook mine at 80% for seven minutes, but you can certainly use 100% – just check them for doneness at several intervals and don’t let them burn. 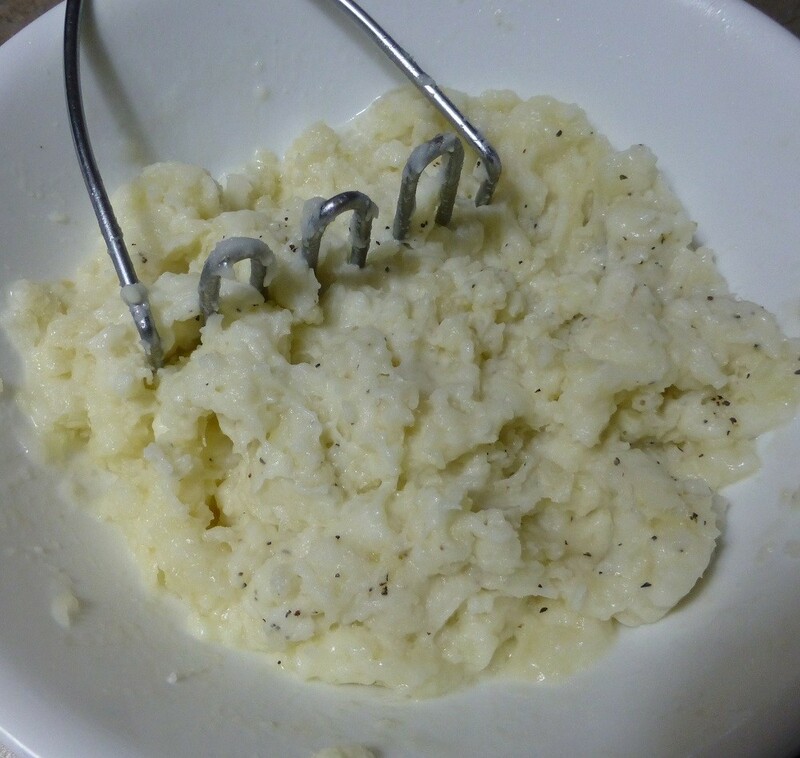 Once they are tender I add lots of butter and milk, or cream, and mash as one would regular white potatoes. If there is any water remaining leave it as it will add more moisture. They are starchier than regular white potatoes, more like a yucca, so you may need to add more milk to get the consistency you prefer for mashed potatoes. Serve them while still hot and enjoy. 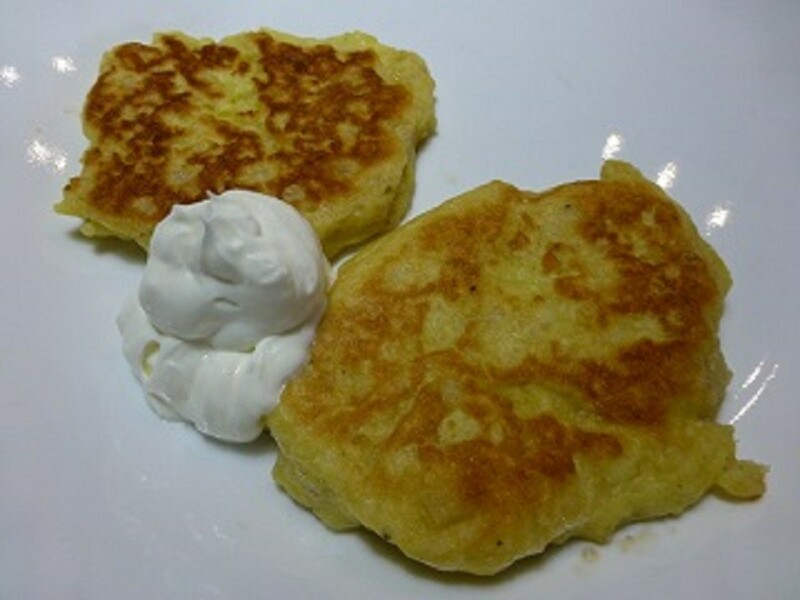 If you have any leftovers try them for making potato pancakes because they are delicious. Happy foraging and eating wild edibles!